To commemorate Seiko’s 130th Anniversary, Seiko brought two of Japan’s oldest forms of artistry to the Ananta series, applying them to one very special limited edition… SRQ013. 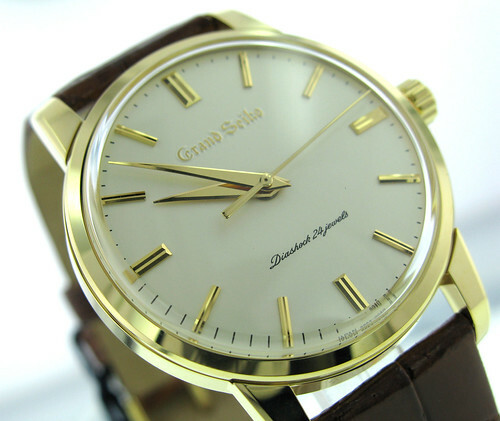 Zaratsu or “blade” polishing is something found the rest of the Ananta brand as well as Grand Seiko. For those not familiar, the Zaratsu technique is the beautiful, yet labor intensive, polishing you will generally find in high quality katana blades. This over 800 year old craft is done by hand and leaves the blade (or watch) with a true mirror finish. For the blades, this is used to help defensively to show reflections around corners and offensively to reflect sunlight and blind enemies. You will notice the pushers are different in this image. They are now ready to use the chronograph. 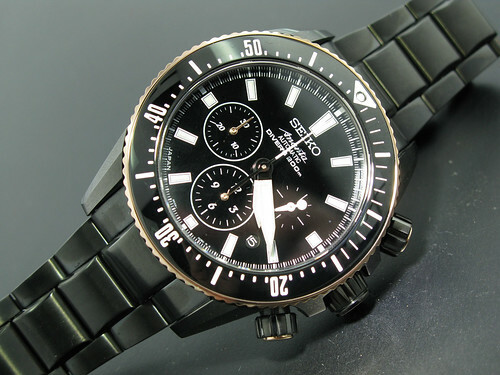 What truly separates this piece from most others in the Ananta series (exception being SPS009), is that Seiko uses an in house, black hard coating process similar to PVD coating. This gives the case and bracelet a beautiful black matte finish. 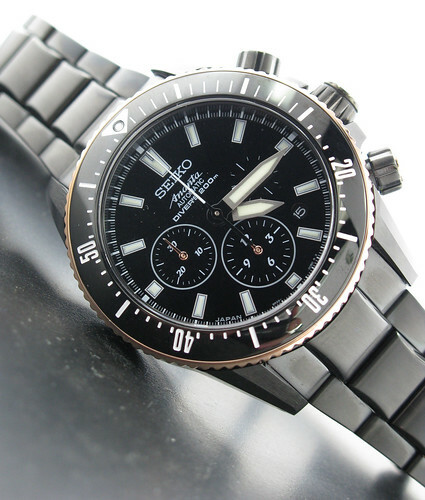 The Zaratsu polishing on this black coating gives the piece an unusual, polished lacquer type finish in certain areas of the watch. It creates tremendous detail and also helps lead me into the next artistic attribute of the piece, the dial. The dial of the SRQ013 is done by Mr. Isshu Tamura, who is highly renowned for his traditional Kaga Maki-E lacquer & Yamanaka Maki-E lacquer ware. The Kaga Maki-E lacquering process dates back as far as the 1620’s and is still used prevalently today. More commonly used in dinner ware, the black lacquer is hand painted on, layer after layer, and then polished out completely hand. As you would guess, it is very time consuming and takes true dedication. Overall, it gives a deep, jet black and glossy finish to the product. 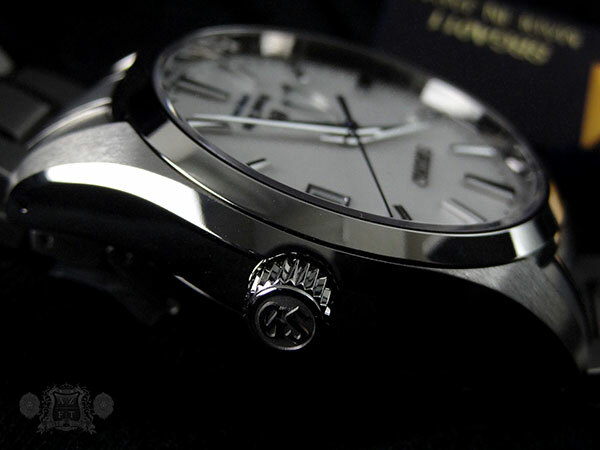 Mr. Tamura has individually applied this process to all 700 dials in this limited edition. 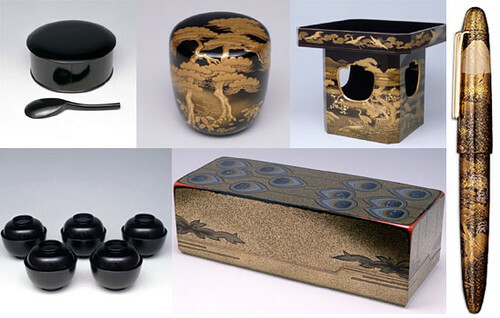 Traditionally, you will see most Kaga Make-I lacquer items with gold or silver powder decorations, even mother of pearl. Mr. Tamura has an extensive background with many different items, but his work with Sailor pens of Japan, which started in 1992, is some of the most amazing I’ve seen. On the right hand side of the image above, you will see his “Sessho Fuji” Winter limited edition of 50 from 1997. There were 4 variations (each to represent one season) and were near $5,000 per pen. 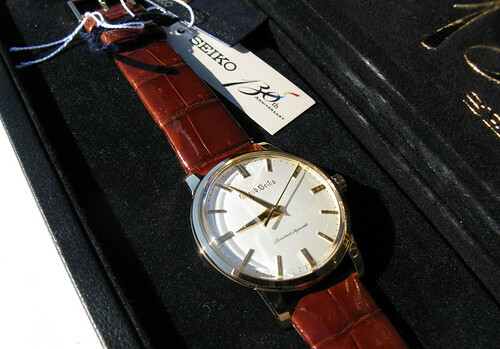 This Seiko is not Mr. Tamura’s 1st dial creation in the watch world. His work, generally more elaborate, can be seen in some high-end Swiss manufactures, such as BOVET. 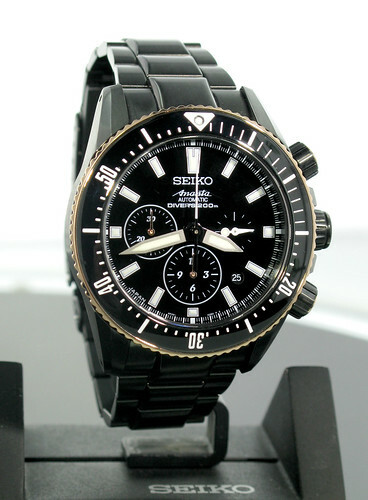 For Seiko, however, there was intention behind the pure black dial in the Ananta. The black lacquer gives the piece much clarity and legibility, which would be lost if there were gold decorations applied. 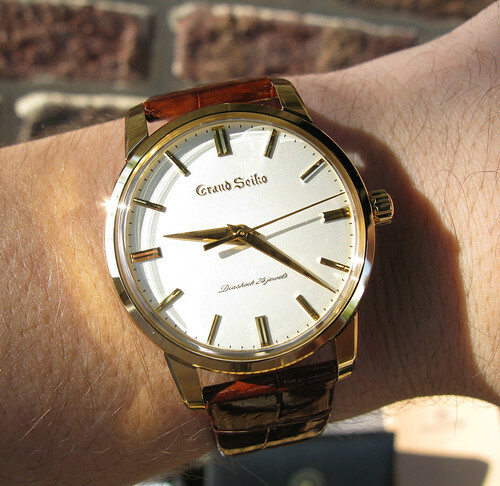 The dial truly does have tremendous depth. 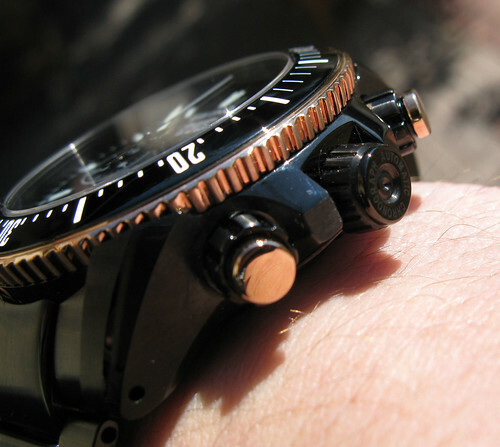 It allows the lumed indexes and hands to really jump out of the dial. One of my most favored attributes of the dial is that if you look very close, under bright light and with an eye loupe, you can see light brush strokes in the dial. This, to me, gives the dial the true “hand made” feel and makes each dial unique to itself. Mr. Tamura is certified as a Traditional Craft Artist by the Minister of International Trade and Industry, a member of the Kanazawa Lacquer Art Association, and a Trustee of the Kanazawa Lacquer ware Trade Association. His studio is in Kanazawa, one of the most renowned regions for this traditional craft. 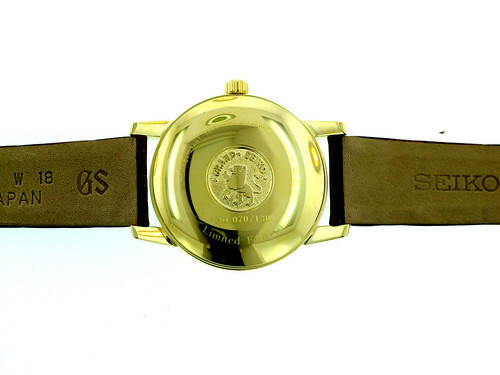 The SRQ013 is the housing behind a new and spectacular movement labeled the 8R39. 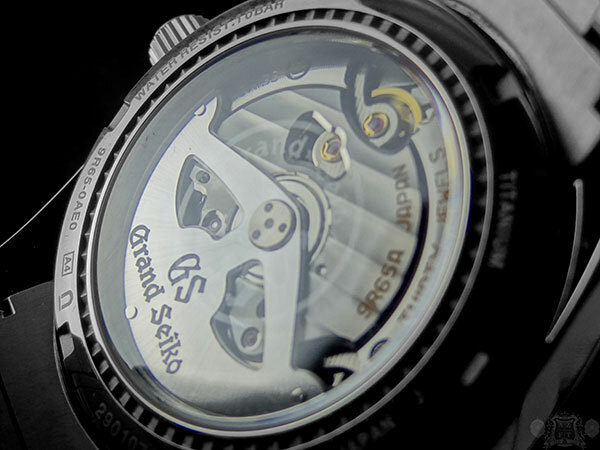 Seiko basically took a Grand Seiko escapement and put it to use in the highly regarded 8R28 (an in-house manufactured self-winding chronograph), creating the 8R39. Consisting of SPRON 610 for the balance wheel and MEMS generated escapement gear and pallet fork, the piece is built to sustain the extreme conditions of diving. It is highly shock resistant and anti-magnetic. 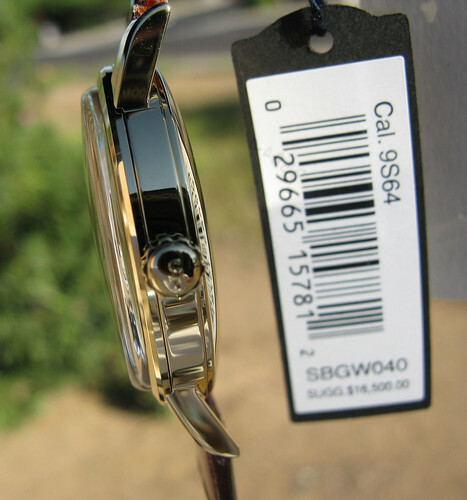 The SPRON 610 alloy (developed in-house by Seiko) is one of the leading quality balance springs on the market. The MEMS technology provides for smoother, stronger constructed parts, helping prevent maintenance in the future. Another unique quality to the movement is how it is fixed to the case. This model uses 3 clamps to secure the movement which helps add to the shock resistance. 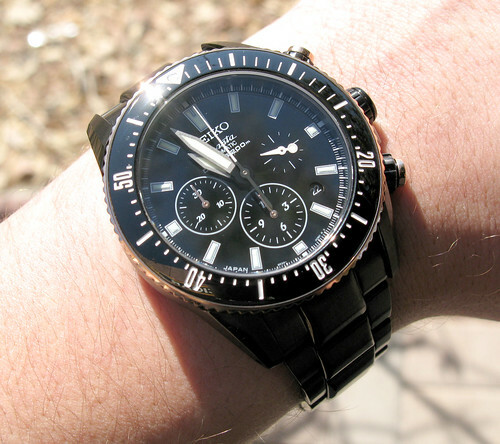 Most other chronographs only use 2. 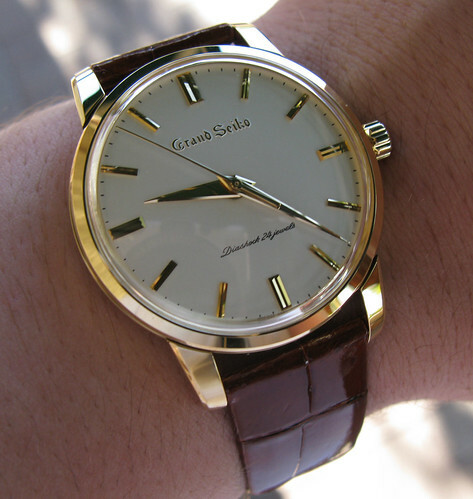 This is another under-rated Seiko Ananta movement. 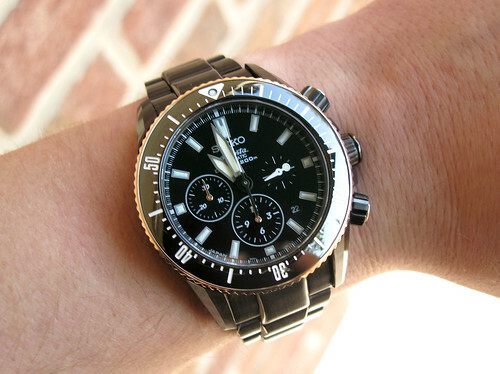 While Seiko rates this piece to +25 to -15 sec a day, I have found the performance to be between 1-2 sec a day, even with the chronograph being used. I was very impressed to say the least. 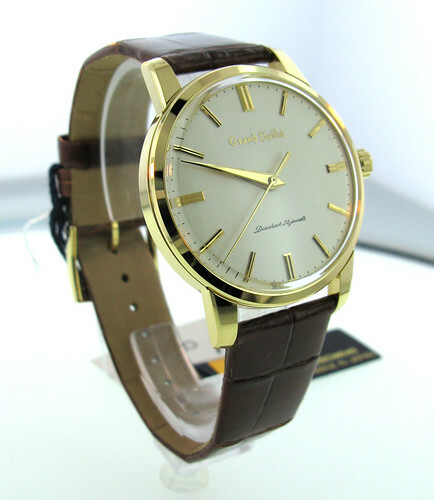 There are many beautiful time pieces in our store I would love to own. This year, I chose this model to add to my personal collection. I cannot explain how much I enjoy this piece already. 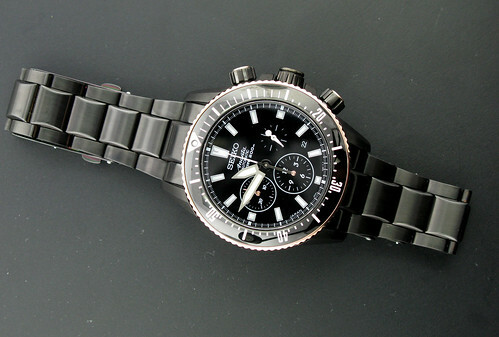 While sporty, the black gives an elegance to the piece that makes it perfect to wear at any time. The bracelet is done very well and is extremely comfortable. It does taper down to only 18mm, which generally I wouldn’t care for, but for some reason, it really works with this piece. 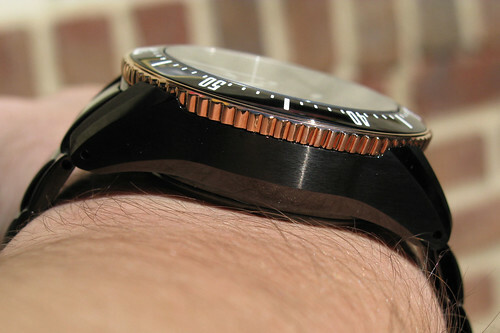 It’s hefty (210g missing 2 links) and has a very smooth functioning bezel. 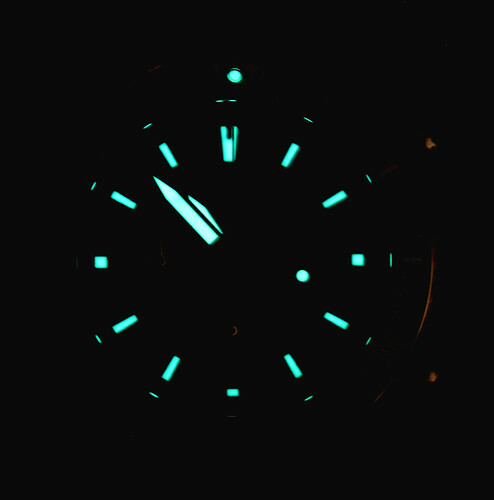 The lume is incredible and the legibility is outstanding. 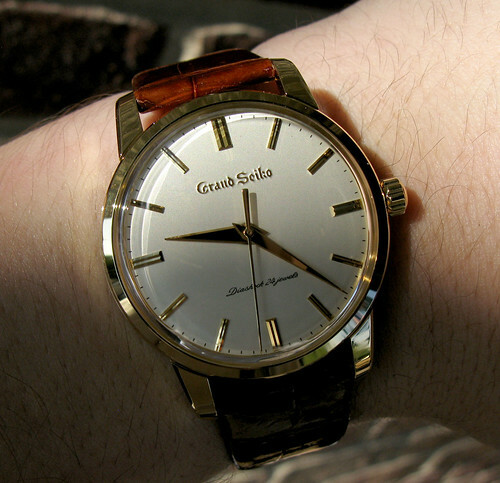 One thing that really makes the watch stand out is the rose gold plated accents on piece. 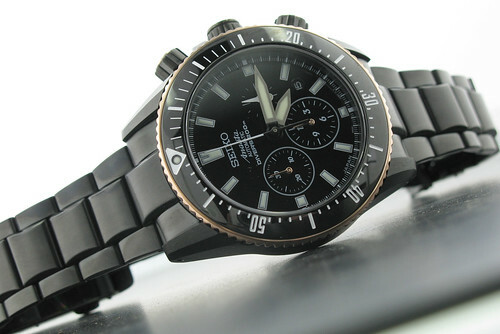 In an all black watch, the rose gold compliments it tremendously. 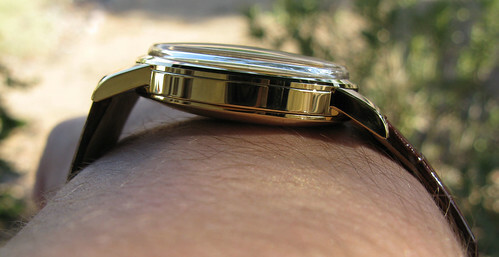 It gives the watch just enough subtle character to really grab peoples attention. I personally like that they use rose gold hands for the minute and hour counter, while the actual seconds remain white and lumed like the rest of the hands. I receive compliments on it more so than any other piece in my collection. It also now holds great sentimental value to me, because I received it during one of our greatest events ever, the Grand Seiko Roadshow. 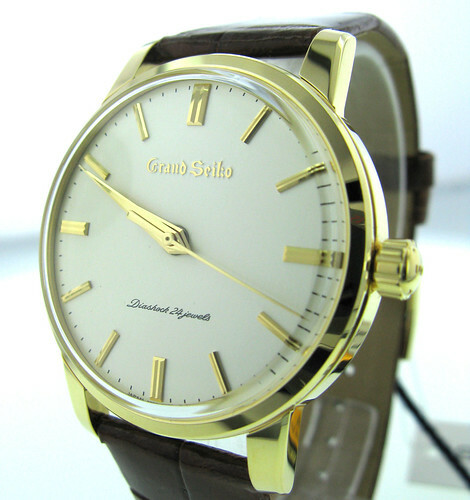 This 44mm model is Limited Edition to 700 pieces with only 35 in the US and nearly sold out. US Retail is $4,700. 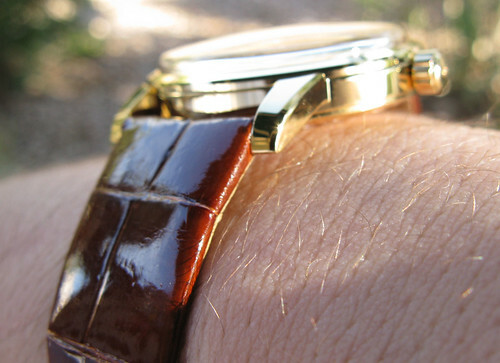 A mechanical watch can have hundreds of parts, all obviously being very important. One of the most vital parts in a movement would be the escapement/balance wheel. These components regulate the accuracy of the timepiece. The escapement propels motion to the balance wheel and the balance wheel swings back and forth, acting as a pendulum, to regulate the movement of the second hand. The swinging of the balance wheel is often referred to as the “heart beat” of the watch, and with each beat, it allows the second hand to advance an allotted amount. 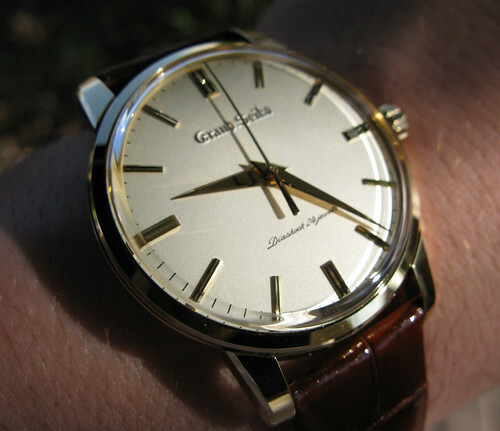 Older watch movements had 5 beats per second (18,000 bph), advancing the second hand 5 “ticks” per second. Today, most movements have a rate of 8 beats per second (28,800 bph) or 8 advancements, that can measure up to 1/8 of a second. 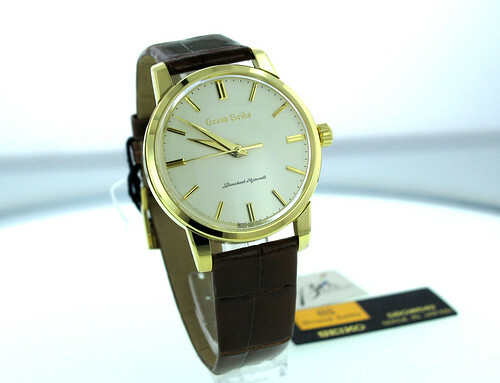 Starting in the late 60’s, about 12 manufactures (one being Seiko) have made 10 beat per second movements (36000 bph) that seem to be extremely difficult to find from most manufacturers today. The overall goal of the “Hi-Beat” is accuracy. By having a higher heart rate, the second hand will progress 10 times a second (as opposed to 8) not only making the second hand appear smoother, but also giving the piece higher accuracy. One down side was that wear on the movement occurred faster due to the accelerated pace. 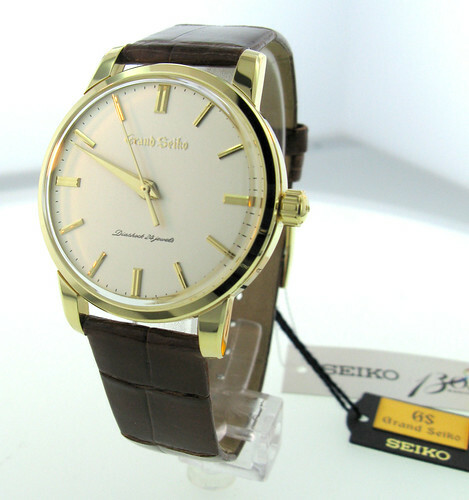 Seiko was the 1st in Japan to introduce a 36,000 bph movement, labeling it the 61GS. 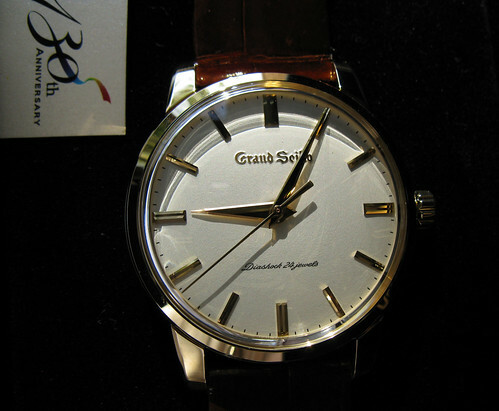 The movement 1st appeared in Grand Seiko in 1968, a year after Longines Ultra-Chron movement and a year before Zenith’s El Primero. 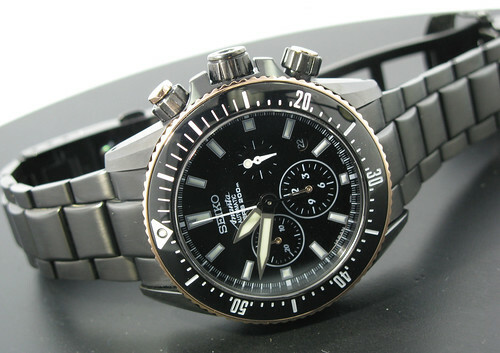 There weren’t tons of GS’s made with Hi-Beats, but Seiko did utilize the 36000bph movement in other lines such as King Seiko, Lord Marvel, and some of their divers. Many of which are now collectors items. 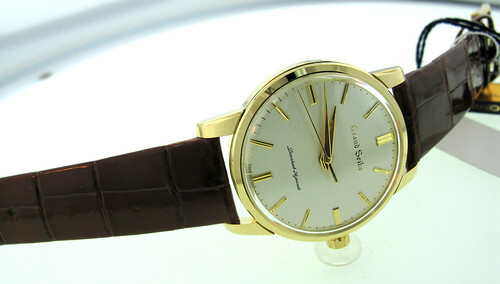 Unfortunately, hi-beat watches became nearly extinct after the “Quartz Crisis” of the 1970’s-80’s. 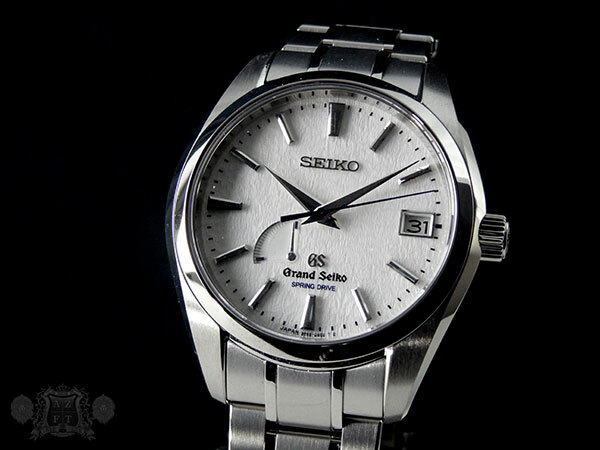 While Seiko lead the way of the “Quartz Revolution”, they did not completely forget about their mechanical timepieces, but it was certainly not their main focus. 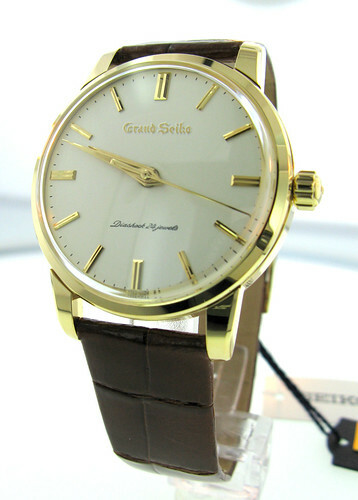 Unfortunately, Grand Seiko was a brand that suffered due to the quartz movements and production came to an end in 1975. 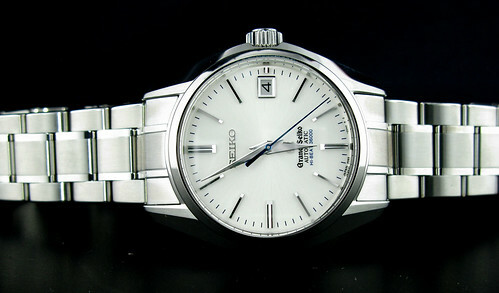 Due to high demand, Grand Seiko reappeared in 1988 in an all Quartz format. 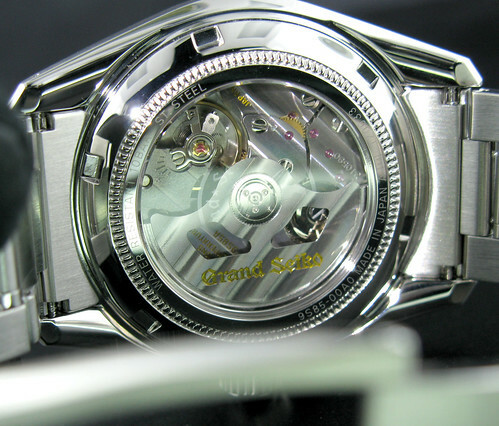 In 1998 Grand Seiko re-introduced its 1st mechanical movements to the 2nd generation brand, but it wasn’t until 2009 when the 1st Hi-Beat Caliber came back to GS. 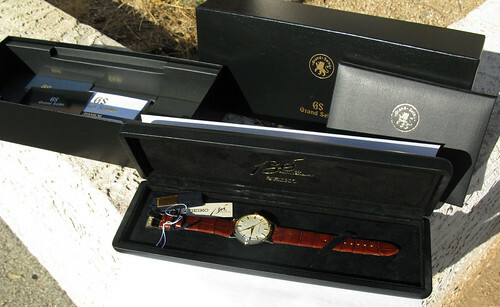 It was 41 years since the last GS Hi-Beat was available and Seiko had developed the perfect tools to put inside this new introduction. The SBGH001 & 005 are the 1st to contain the new and improved Hi-Beat 9S85 movement. 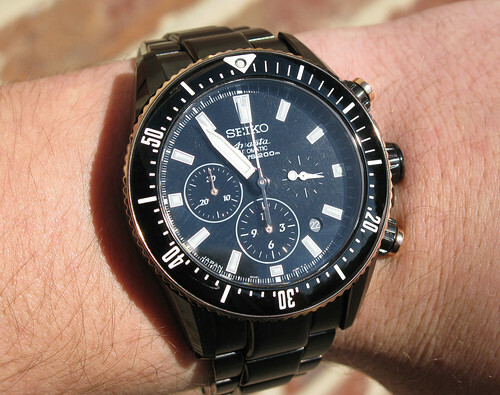 Over the years, Seiko’s technology has come a long way and it truly reflects in these pieces. 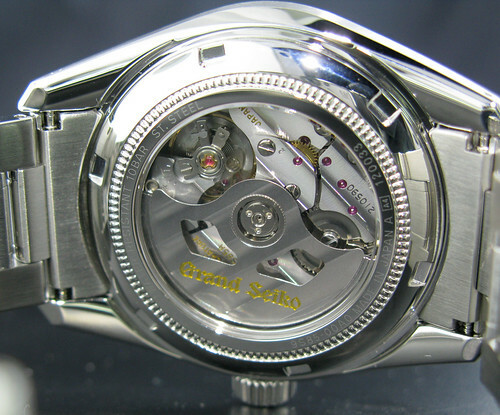 The balance wheel/hairspring (which generally sustains the most damage in a Hi-Beat) is made from Seiko’s in-house developed SPRON 610 alloy. The SPRON 610 has twice the strength, durability and shock resistance compared to previous alloys. It’s also 3 times more anti-magnetic. It seems as if the alloy was developed specifically for the intense motions found in the Hi-Beat. Another major contributing factor is the way the parts are manufactured (mainly the escapement gear and pallet fork). 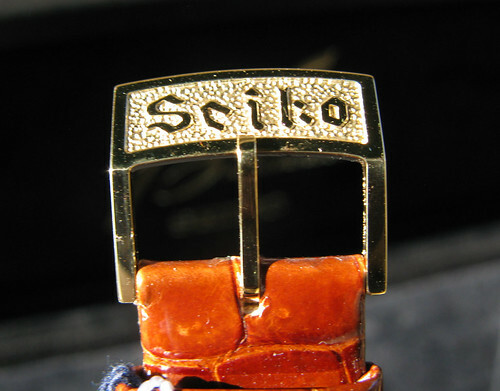 Seiko utilizes MEMS technology (which Seiko Instruments Inc. has been developing for decades) for the manufacturing of the escapement gear. 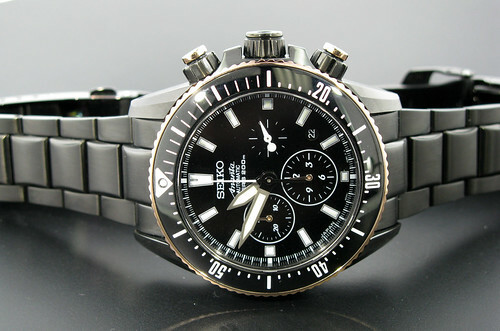 Micro Electrical Mechanical Systems allow Seiko to make smoother, lighter and harder precision parts. Another benefit is that, because of MEMS, the gear can store and distribute lubricants over a longer course of time, preventing the quick deterioration generally caused by 10 beat movements. The SPRON alloy is not only used for the balance wheel, but a variation SPRON 530, is used for the mainspring to give the watch a 55 hour power reserve on only one barrel. 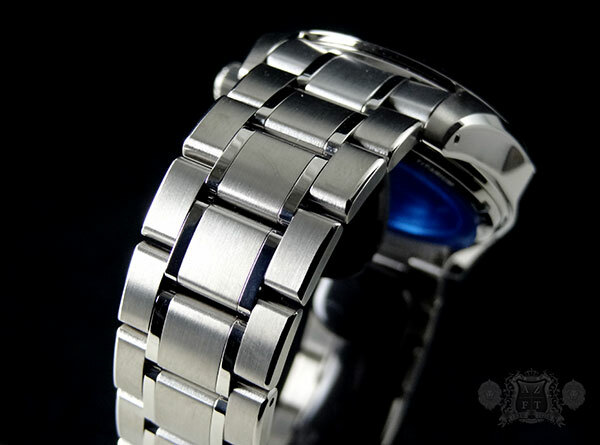 The 530 alloy makes the mainspring more durable, shock resistant, anti-magnetic and can also withstand the extra torque needed to make the rate 36000 bph. 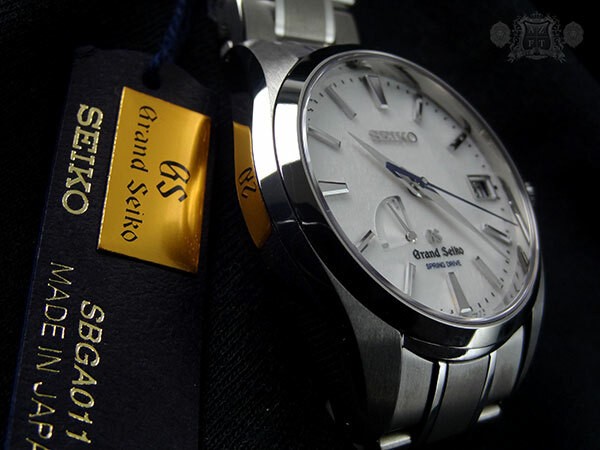 As you know, a key element to Grand Seiko is accuracy. 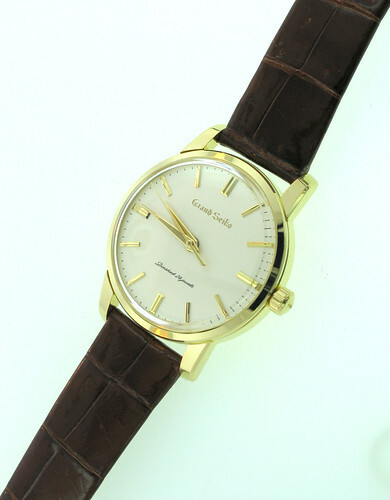 To ensure these pieces have the highest accuracy, Seiko developed the Grand Seiko Standard back in 1960 (when the 1st Grand Seiko was developed). The standard used today was established in 1998 and still involves more tests in more positions and at more temperatures than today’s Chronometer standards. Six positions, rather than 5. 3 temperatures, rather than 2. 17 days rather than 15, and they are also rated to +5/-3 sec a day as opposed to +6/-4. 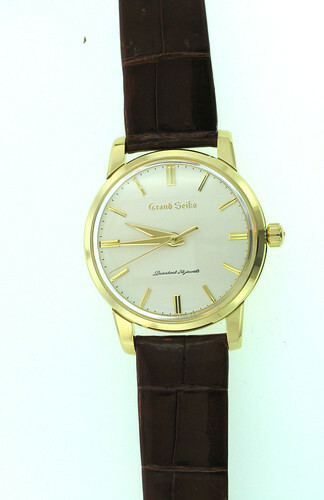 Each GS Mechanical comes with a certificate stating the watch has passed all testing required for the GS Standard. 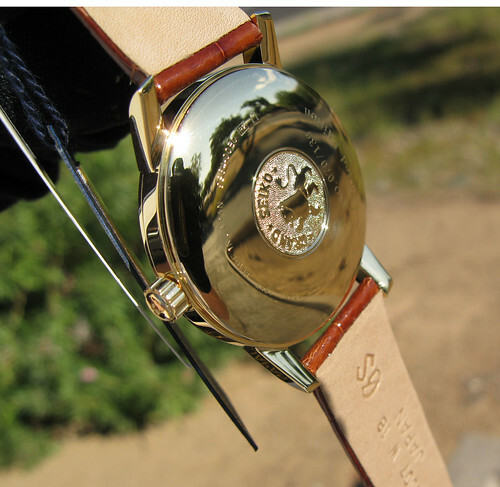 While there is beautiful decoration to the movement, the exterior of these pieces are finished immaculately as well. 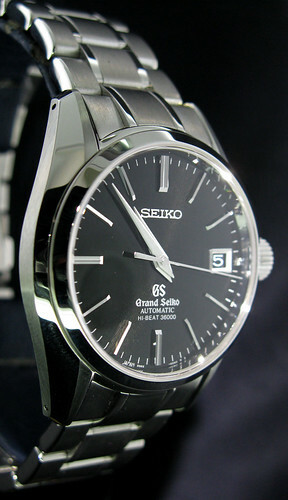 Seiko has 5 master craftsmen working in their factory in Suwa, Nagano Japan to execute this unique finish. Zaratsu polishing is the same technique used on Katana blades and produces a mirror finish. It is truly incredible. 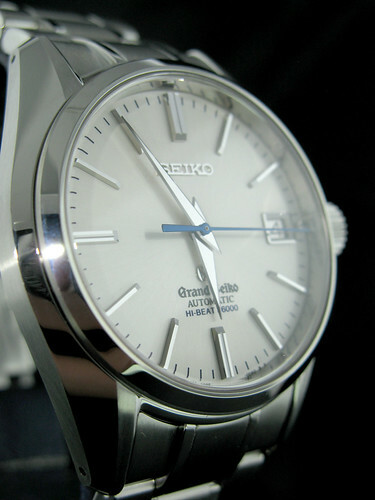 As in other Grand Seiko’s, the hands and index markers are brought to razor sharp edges with Zaratsu polishing to create a radiance almost like a diamond. This allows the smallest amount of light (a good example being moonlight) to be picked up and reflected, making the watch more legible at night. 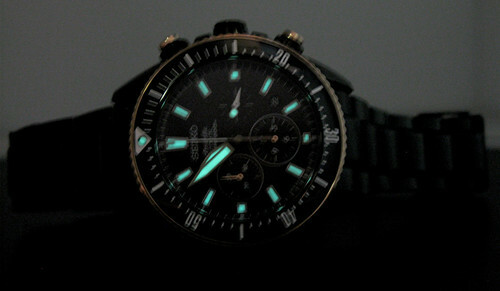 This is one of the reasons you do not see too much lume in Grand Seiko. 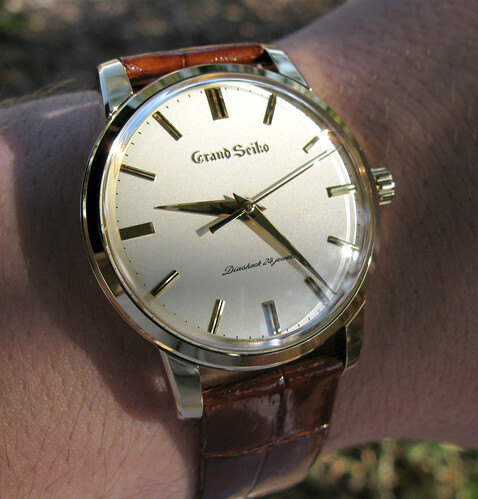 The SBGH001 has a silver type dial, similar to the champagne in texture, but much more white. 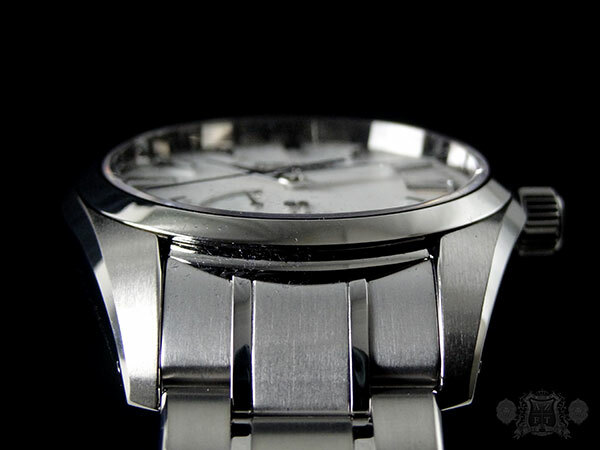 In most lighting, the dial appears to be a matte white color, but if you angle it the right way and look close enough, there is a sunburst silver pattern that is quite stunning. The blue second hand also adds tons of character to an already gorgeous piece. The SBGH005 is very subtle, but very unique. As the 001, the dial appears to be a flat matte finish (except black instead of white), but in reality is incredibly detailed. In direct sunlight, or any bright light shining directly on the face, you will notice a texture. It almost seems to be similar to a wood grain. It takes a very close look to notice, but is well worth it. 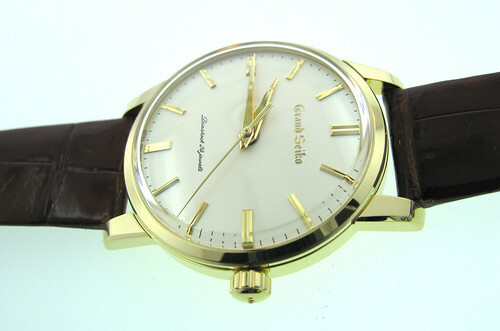 I personally think it is one of the most unique dials in the GS series. 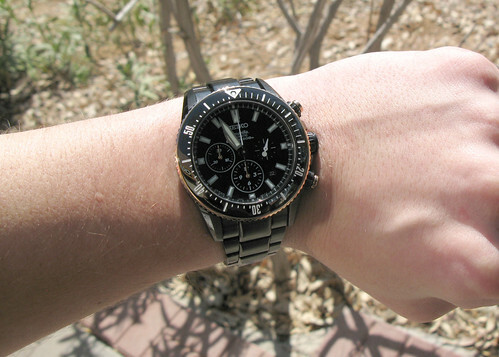 The black has incredible contrast with the stainless steel hands, making it incredibly legible. 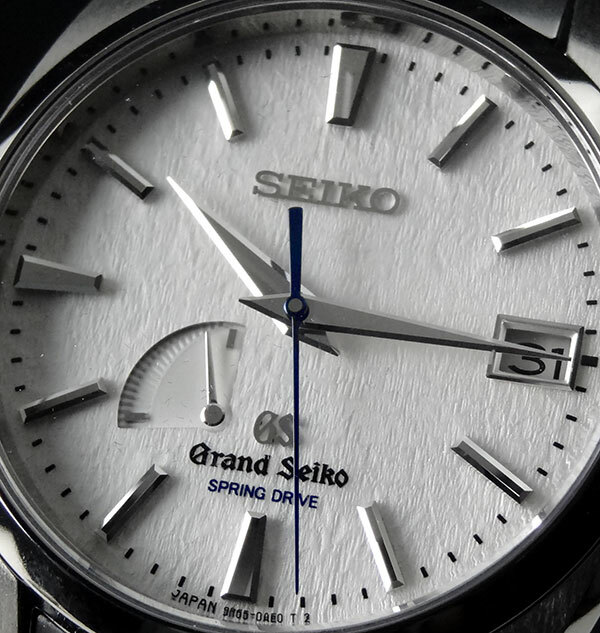 Legibility is another one of the key elements to all Grand Seiko pieces. If you look closely, you can see a portion of the illusive GS logo hologram found in the sapphire crystal case-back. Please feel free to check out the YouTube video I posted to see these mechanical masterpieces in motion. It is one of the smoothest actions I’ve seen in a mechanical. The Hi-Beat movement is truly something special. It’s pure mechanical at its finest and has an incredible history. Spring Drive is one of my favorite movements, but the quality of these Hi-Beats really shine through. If you’re into accuracy and aren’t into Spring Drive (or more likely already own some and want something different), this is an amazing piece to add to your collection. Wishing everybody a happy, healthy, and prosperous 2012! Thank you for all your support! October last year was indeed a very exciting time here at Arizona Fine Time. We learned a few very important pieces of information from Seiko. 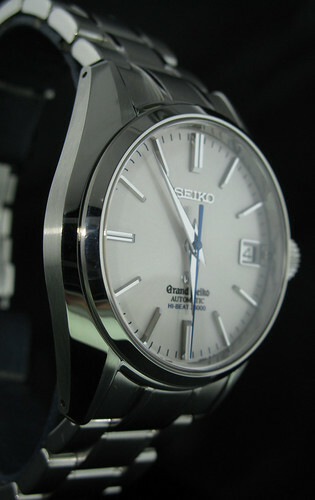 First, Grand Seiko was finally and officially coming to the US. Second, Arizona Fine Time had been named the 1st official US dealer. 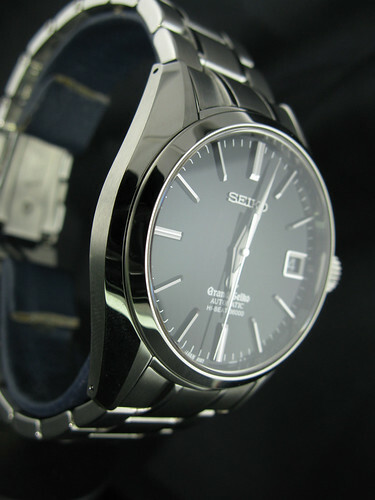 And finally, that we would be hosting a Grand Seiko Launch Party and Road show. 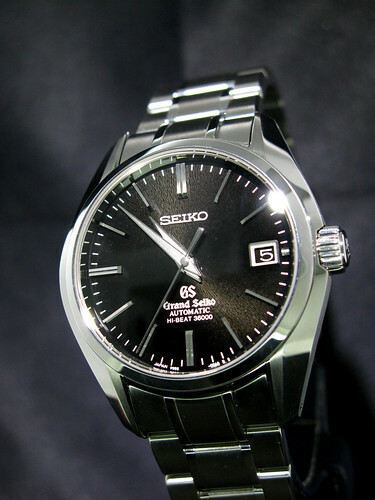 By the beginning of November, the Grand Seiko watches had started to trickle in and the day was fast approaching for our Launch Party and Road Show. 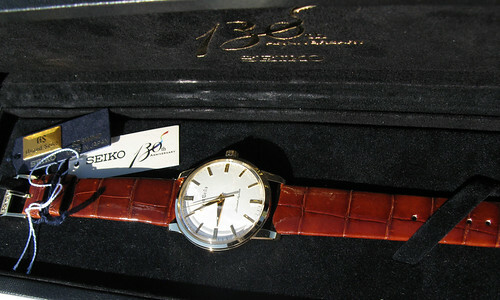 This was to be a grand event where you could actually see a master watchmaker assemble an entire Grand Seiko time piece. The day came for the event faster than any of us had expected and we were truly excited to be part of this special launch. We were introduced to a number of people in Seiko’s staff, mostly from the US, but also two gentleman that flew in from Japan specifically to be at our launch party. 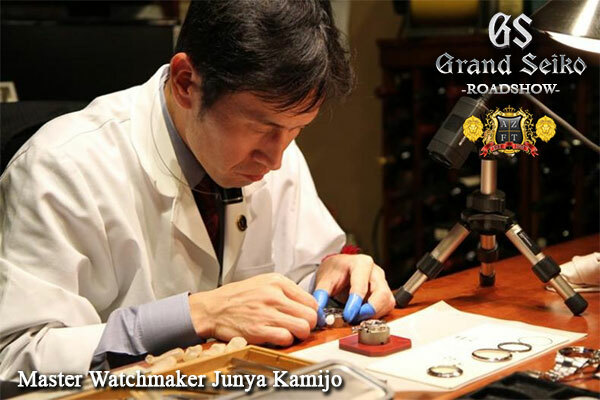 The two distinguished gentlemen from Japan were Junya Kamijo who is considered to be the top master watchmaker on staff and Kosuke “Reggie” Kiryu who is the Marketing and operations manager for Shinshu Watch Studio. 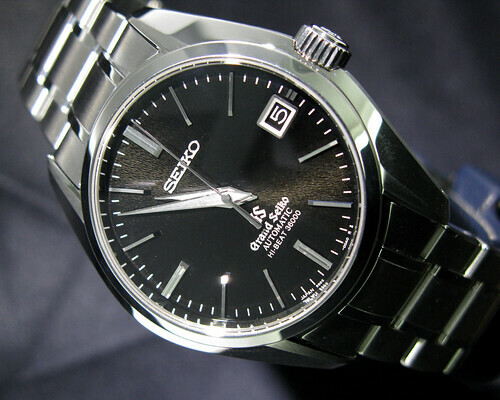 Shinshu Watch Studio is where Grand Seiko is made and is located in Suwa, Nagano Japan. The 1st thing I noticed (of course) was the timepieces on their wrists, and Junya Kamijo was wearing one I had admired for a long time, but I had never actually seen in person. 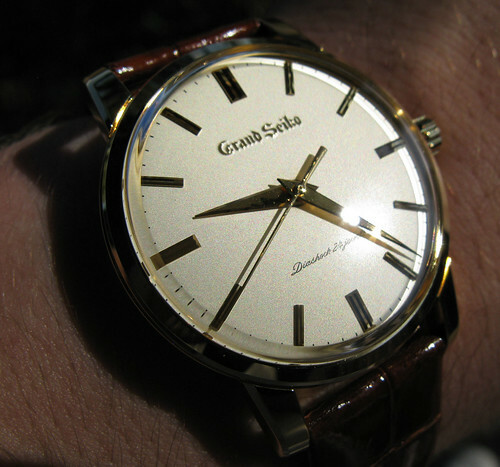 This watch was the SBGA011, AKA the Grand Seiko “Snowflake”. From that moment on, I was truly hooked on this piece. Several of us sat down and took turns staring at this truly unique dial, each one of us in awe. That’s when Reggie chimed in to help explain the design of this piece. “This models nickname in the factory is the Snowflake. It is an homage to our hometown, Suwa”. Reggie went on to explain in detail how Suwa’s winter influenced this piece and its entire design. 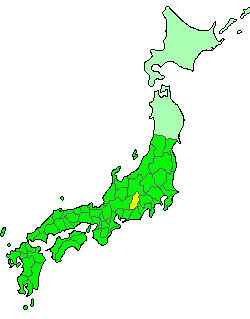 Suwa is almost dead center in the middle of Japan, and because of this, the humidity level is lower than in other parts of the country. Because of this lower humidity, the snow fall during the winter is very light and airy. 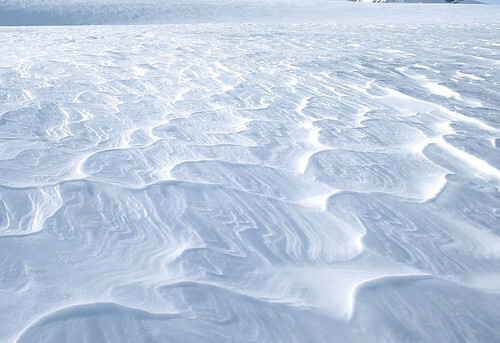 This allows the wind to sculpt the snow lying on the ground to make beautiful patterns. They set out to create a dial which resembled this light snow fall and patterns. 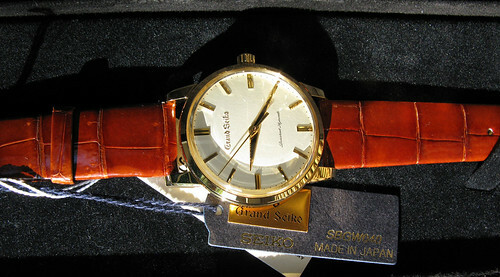 In this, the SBGA011 Grand Seiko “Snowflake” was born. It is a unique 6 step process to replicate the snowfall in the dial. 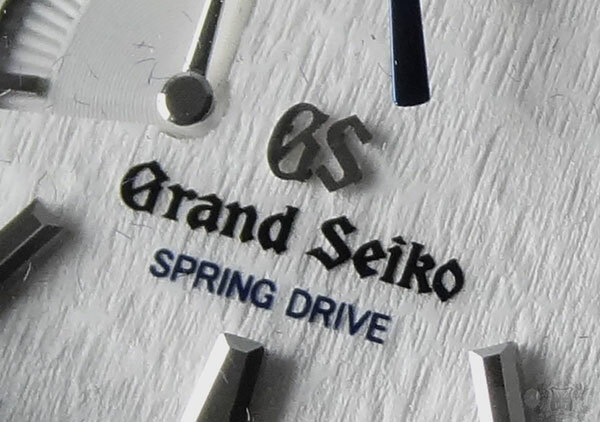 While the most complex dial in the Grand Seiko line takes 12 steps to complete, this “Snowflake” still one of the most intricate dials in the series. 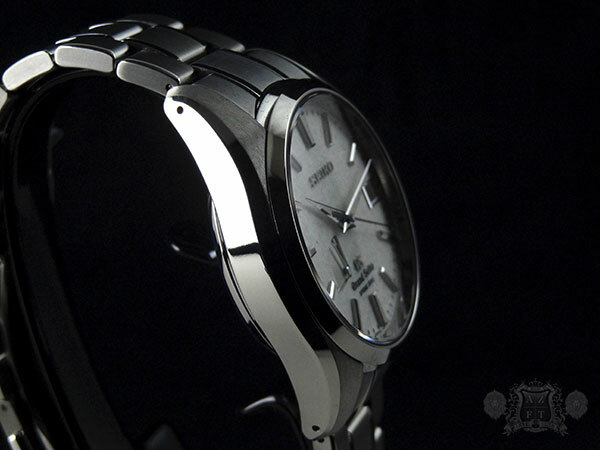 The case and bracelet of this model are made from Seiko’s in house developed and patented “High-Intensity” Titanium. This titanium is slightly stronger than stainless steel, and also about 40% of the weight, making it “as light as a snowflake”. 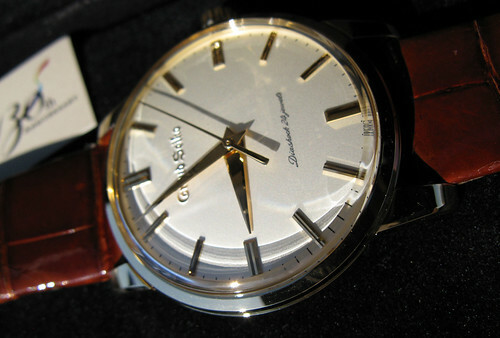 The blue second hand (and text of SPRING DRIVE) was to complete the winter character of this timepiece. They wanted to give the watch “the cold feel”. To me, this adds just enough detail to make the piece really stand out. 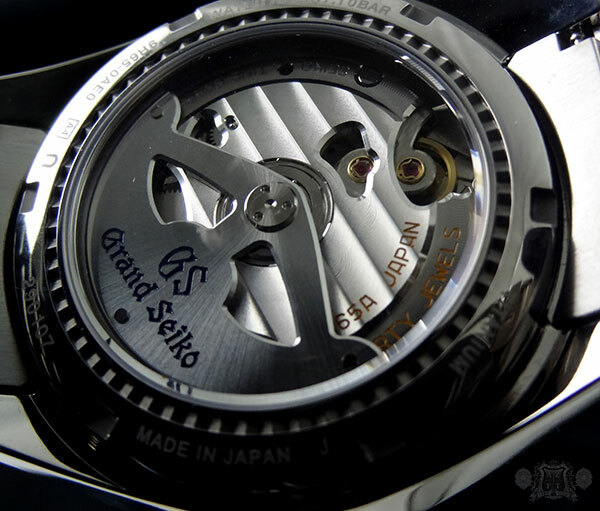 To complete this Grand Seiko piece, they chose their Spring Drive for the movement. It had nothing to do with snow, but was for good reason. They only wanted their finest movement in the piece that represented their hometown. Spring Drive has the beauty and the accuracy to be more than qualified as the right movement for the job. I personally can’t say I would do it any different. 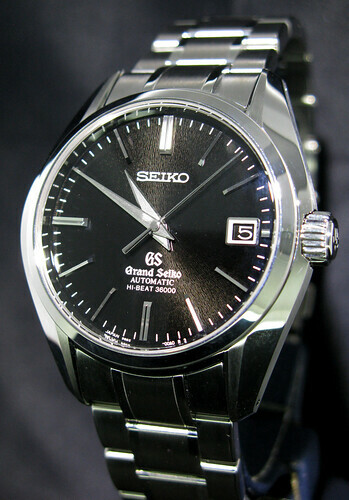 The night continued on to be a huge success and I will always have very fond memories of our 1st Grand Seiko Road show. And, until I have one myself, I will be very jealous of anyone who owns a SBGA011 “Snowflake” (including Junya Kamijo). 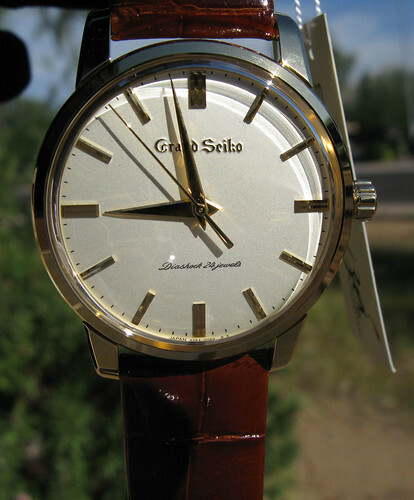 On Friday, October 14th 2011, Arizona Fine Time will once again be hosting a Grand Seiko Road Show. 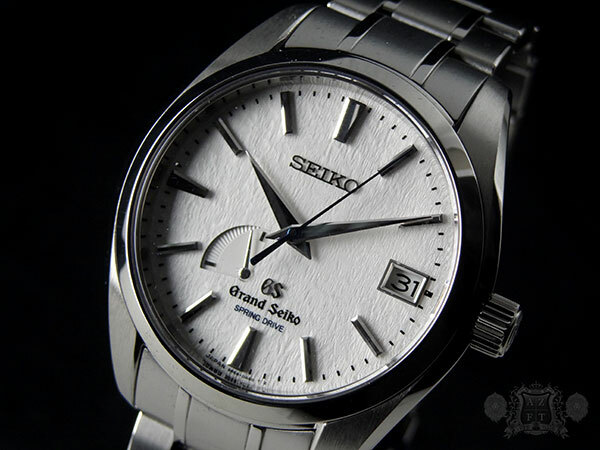 This is a tremendous opportunity to appreciate and understand what makes Grand Seiko so special. 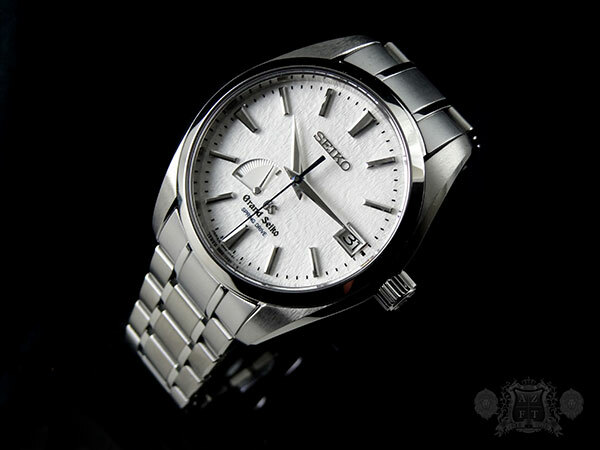 We will again have a master watchmaker assemble a complete Grand Seiko timepiece live in the store and you will be able to share in the stories that only people from the factory can share. Please join us on this date for this incredible event. 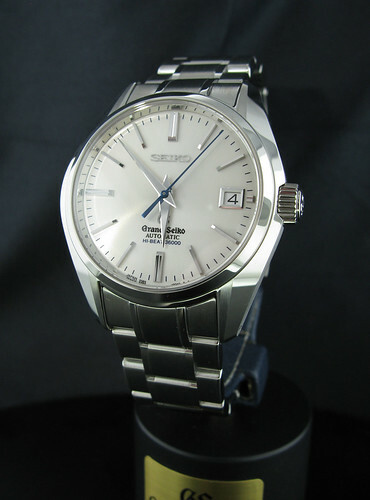 This is also a great opportunity to purchase a Grand Seiko with an autographed box and picture from the watchmaker (and whoever else from Seiko you would like that is in attendance). We should have also received most of the new products from Basel. If you are not able to attend, you will be able to call to order and get the autographs, but I would highly recommend coming if it is possible. As always, thank you for your time. Please let me know there is ever any help I can be. 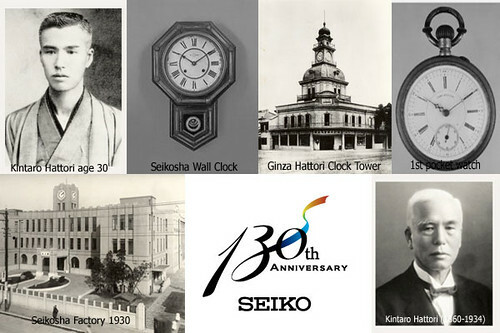 The history of Seiko begins in 1881, when at the age of 22, a young man named Kintaro Hattori opened a small shop in central Tokyo. 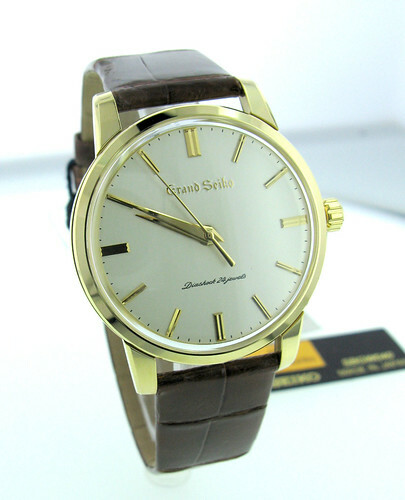 This shop, K. Hattori & Co., specialized in the sales and repair of watches and clocks. 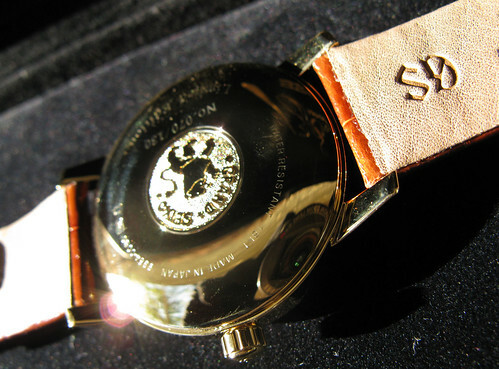 11 years later, the shop moved to a new location and evolved into the Seikosha Factory for developing clocks and pocket watches. Mr. Hattori could not fathom the journey that his company would embark on in the years to come. 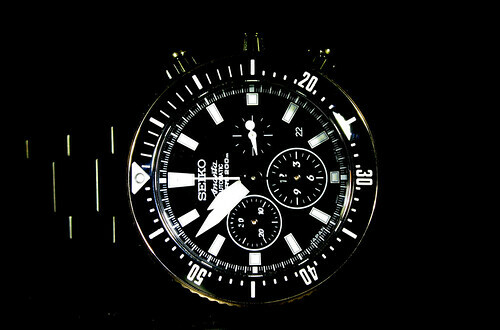 In his light, Seiko is still striving to achieve his main goal; the perfection of the world’s finest timepiece. Mr. Hattori passed in 1934. 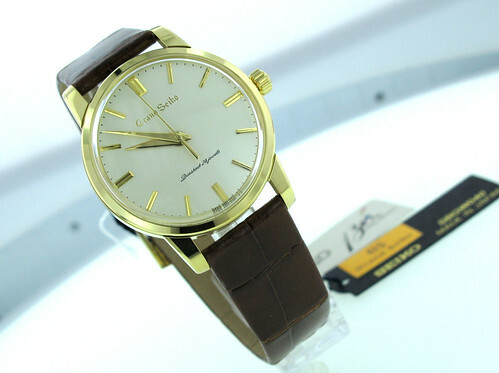 This was 26 years before the creation of Grand Seiko. 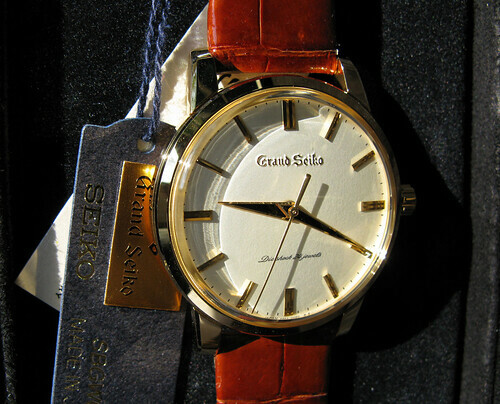 Tsuneya Nakamura, who joined Seiko in 1944, directed the Grand Seiko project and recognized the importance of perfection. 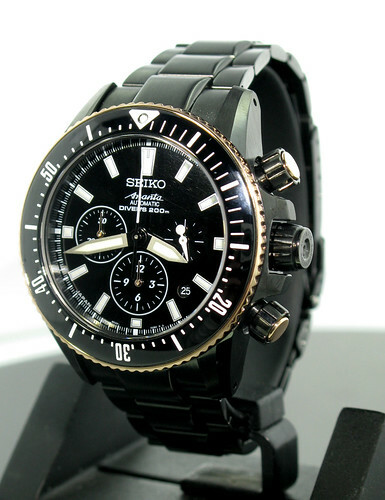 Only Seiko’s finest, most experienced and skilled watchmakers were selected to complete this task. 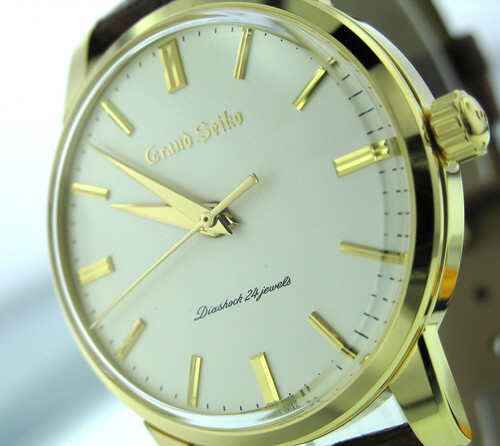 Grand Seiko’s ultimate ambition was to be the most durable, legible, and accurate timepiece in the world. 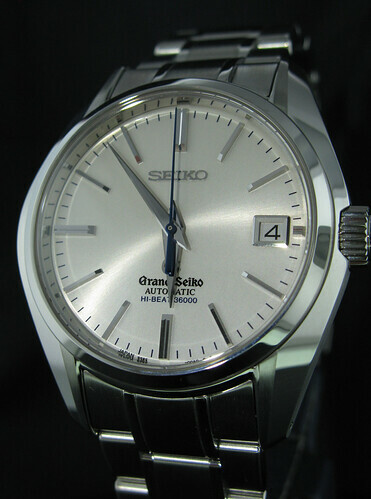 Grand Seiko was created in the Suwa Seikosha factory in Nagano, (central) Japan in 1960 and they are still made in the Suwa factory today. 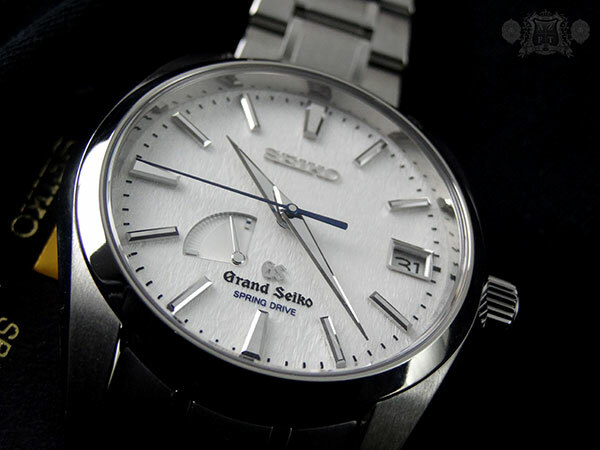 They spared no expense in the manufacturing of Grand Seiko. 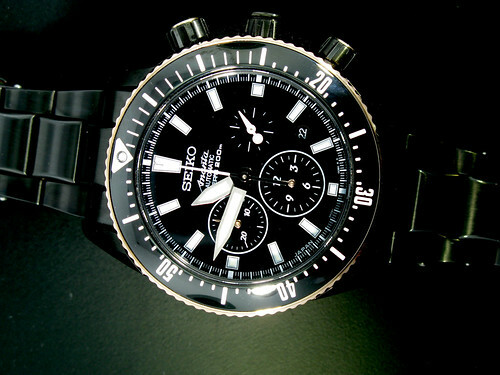 But Seiko’s goal was to create the perfect watch, one that surpassed the highly regarded Swiss Chronometer, no matter the cost. 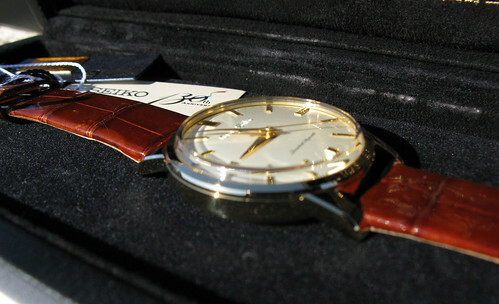 There was very little profit involved due to all the advances in technology Seiko applied to the development of this piece. 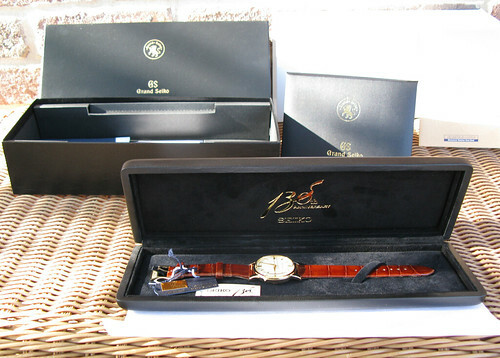 When it was released, retail was around $350,000 yen, close to $1,000 USD at the time, which was very expensive. 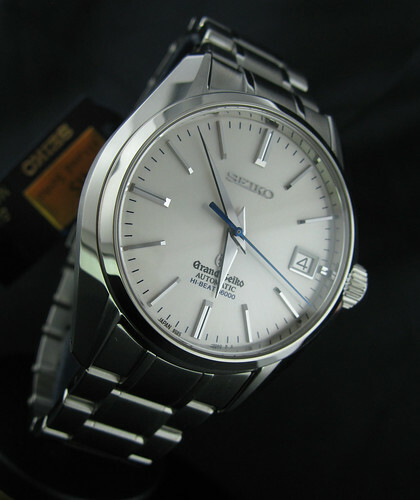 The first Grand Seiko debuted with their in-house 3180 manual winding caliber. 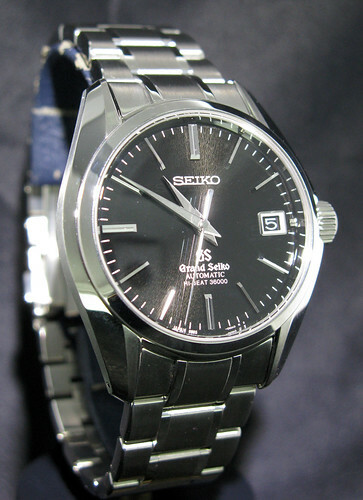 With this movement, Seiko truly had one of the finest quality timepieces in production. 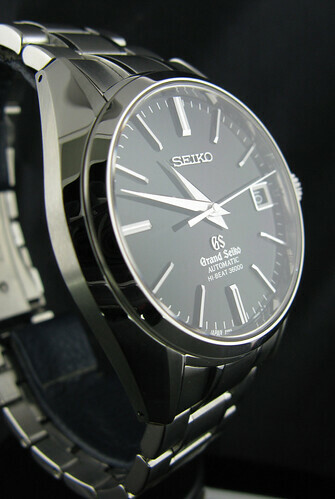 Seiko’s in house “GS” Chronometer standard was used in certifying these watches. Each timepiece was presented with a rating certificate that showed the results of 15 days of testing and bested any Swiss watch. 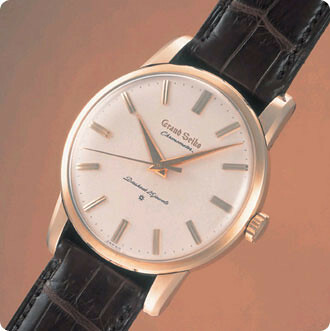 The SBGW040 was one of 3 pieces introduced in 2011 to commemorate the original Grand Seiko produced in 1960. 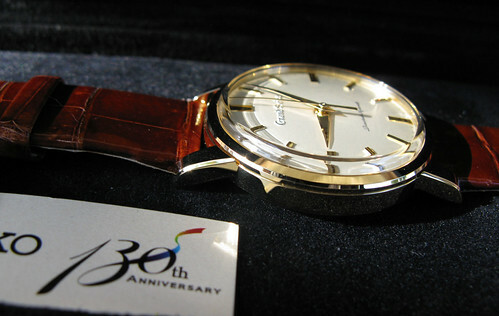 The 3 variations of the 130th anniversary piece were made in Stainless Steel (SBGW033), Platinum (SBGW039) and finally 18kt Yellow Gold (SGW040). 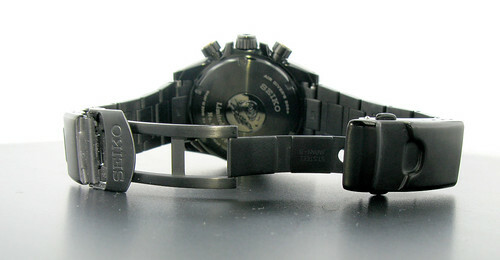 The SBGW040 was made to be almost an exact replica of the original release. There are few aspects of the piece that deviated from the original design and only for good reason. 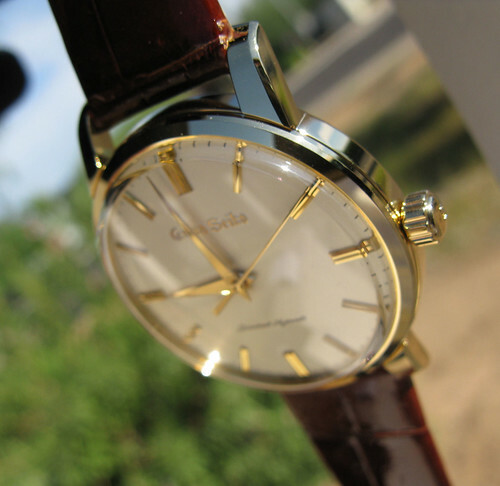 The 2011 model (SBGW040) features a solid 18kt yellow gold 35.8mm case. The original was only gold plated, but the same case width. The gold is polished by hand, using the Zaratsu (Blade) polishing technique. This form of polishing was originally used on Katana blades to give them a pure mirror finish. This mirror finish was incredibly useful to the warriors who used the katana; using the reflection of the blade to monitor any actions behind them or around corners. The other offensive strategy used in the katana’s Karatsu finish was light. In battle, the reflection of the sun off the blade could easily blind enemies. 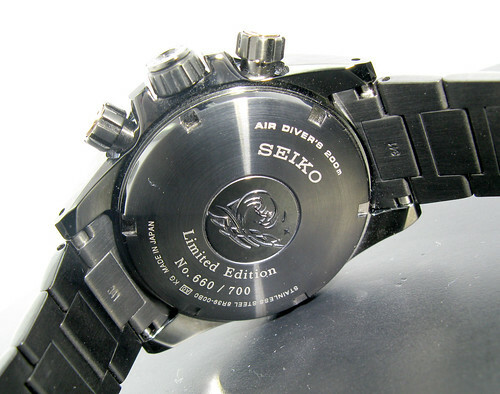 Seiko applied this to the timepiece in a very unique way. 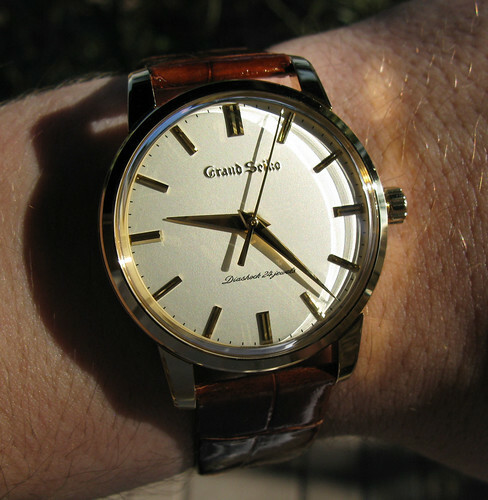 Most Grand Seiko’s do not have lume applied to the hands or indices. The reason is that the hands and index markers are brought to razor sharp edges and then finished using the Zaratsu technique. 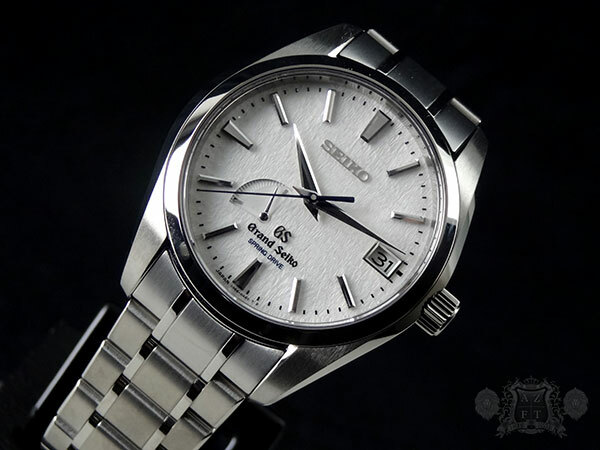 As the blade of the Katana would blind enemies with light, the hands and indices of Grand Seiko will reflect light to increase the legibility and also give them a sparkle, almost that of a diamond. In dark settings, the hands and indices will find the smallest amount of light and reflect, making the piece easily legible. Therfore, there is no need for lume. 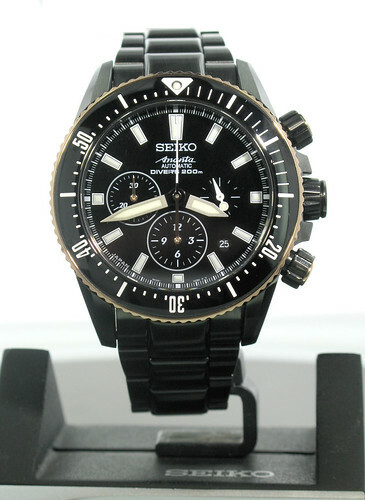 To add to the legibility of these timepieces, Seiko used their High Definition Dual-Curved Sapphire Crystal with anti-reflective coating. 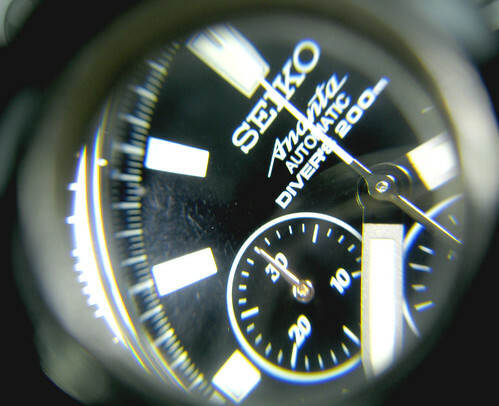 Seiko has a whole optical division that manufactures high quality lenses for eyewear. They take research and development from the eyewear division and combine that with their manufacturing of sapphire crystals to create the finest quality crystal for their timepieces. 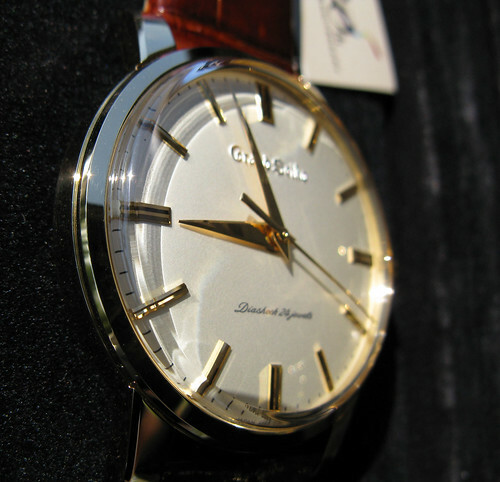 Back in 1960, the 3180 movement found in the Grand Seiko was one of the finest available. 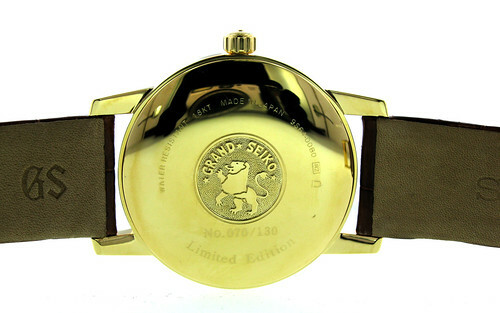 For the commemorative model, it was vital that Seiko used only the finest movement available today. 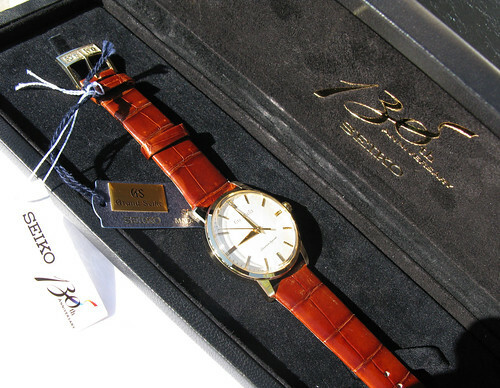 The 9S64 movement was specially developed for the 130th Anniversary model. 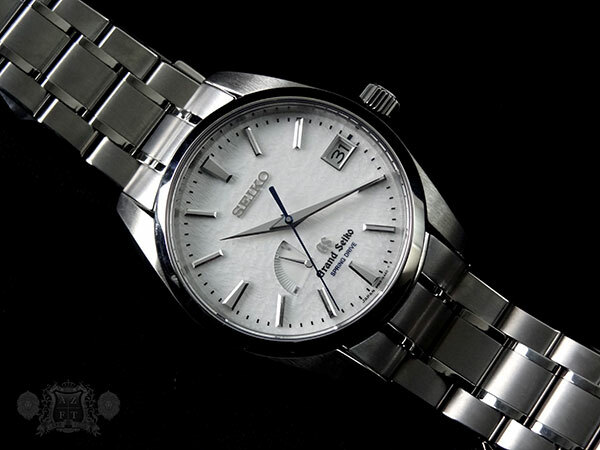 Seiko wanted to keep tradition with a manually wound movement, but as they did with the original, only use the latest advances in technology. The 9S64 is a 24 jewel movement that uses Spron 510 (an in house developed alloy proprietary to Seiko) mainspring which gives the movement a 72 hour power reserve. This is one of the longest power reserves on the market for a one-barrel movement. The escapement is (IMHO) one of the finest aspects of the movement. 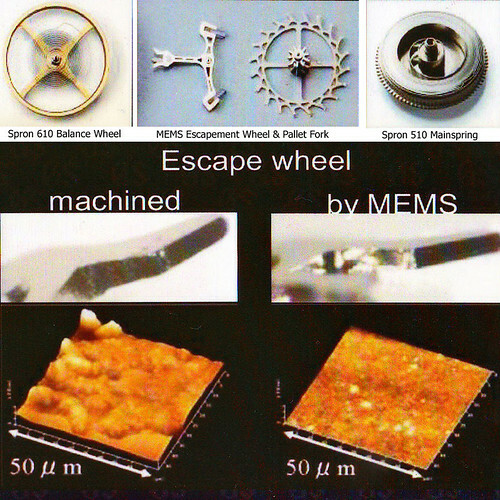 Seiko uses MEMS (Micro Electro Mechanical Systems) for the manufacturing of the Escapement Wheel and Pallet Fork. This engineering allows shapes and designs not possible with traditional methods. Intense hardness, ultra precise parts with enhanced durability and smoother surfaces with less abrasion are some of the characteristics associated with this manufacturing process. Not only does the MEMS technology allow for a stronger more durable product, but also provides a longer lubricant reserve, giving the piece a longer length of time before servicing. The newly developed Spron 610 alloy is used for the balance spring, giving the timepiece improved shock resistance and anti-magnetism. This is one of the leading alloys used for a balance wheel in the industry today. 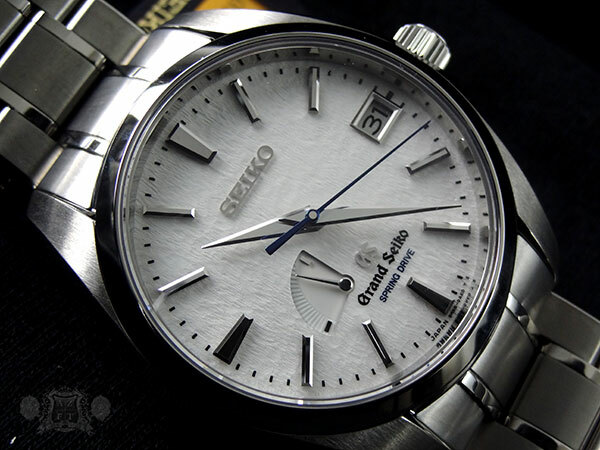 All mechanical Grand Seiko’s are certified and tested to -3 to +5 seconds a day accuracy and are issued with certificates as the original Grand Seiko was. The new 130th Anniversary model is no exception. Only 130 of these magnificent commemorative pieces were produced. There were originally supposed to be around 5 or 6 that came to the US. Unfortunately, that allotment was cut short due to high demand for the piece in Japan. This is the very 1st piece to come to North America. 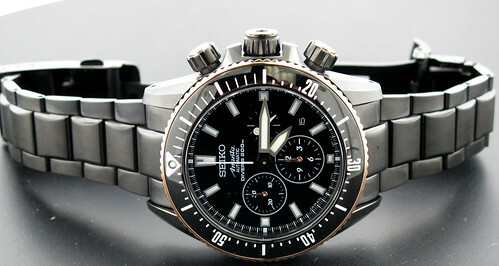 The Platinum (SBGW039) is scheduled to arrive in Sept. sometime and the Stainless Steel (SBGW033) is scheduled for Oct. I will post many pictures when they arrive. Most of these pieces are pre-sold but we do still have some available for reserve. They will not be around for long. Please feel free to contact us at 1-800-486-3996 for more information. 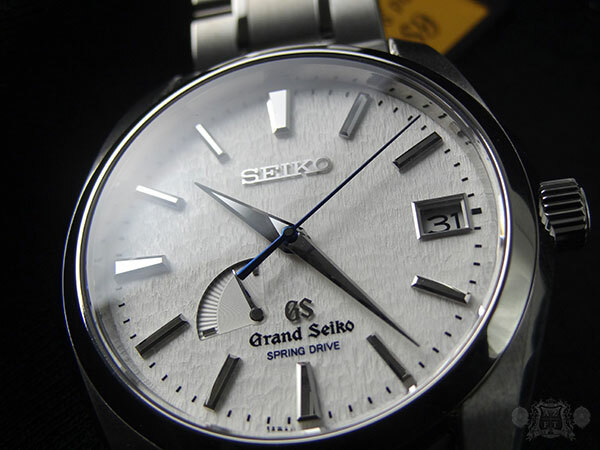 Please keep in mind, on Friday, October 14th, AZ Fine Time will once again be hosting the Grand Seiko Roadshow. 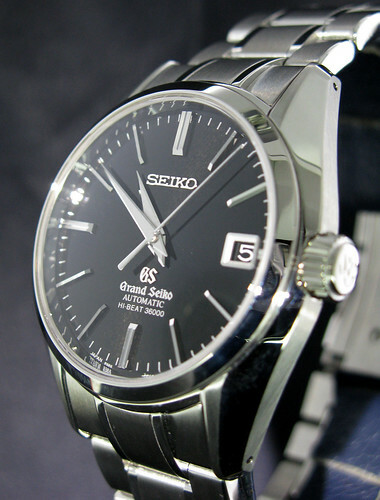 We will have a master watchmaker from the Suwa factory in store building a Grand Seiko timepiece. We will have many of Seiko’s staff here to answer questions in addition to complimentary food, drink and (our other business) cigars. It would be a pleasure to get some friends from the forum in attendance. There is no charge for admission, so please feel free to come by if you can and make yourselves at home. This is a great opportunity to purchase a Grand Seiko or Ananta watch and have the box autographed by the master watchmaker. Please feel free to contact us for any additional information. I hope you all enjoyed the read and thank you very much for your support!